As we head into the late winter days of February, my mind is on keeping warm and comfortable. 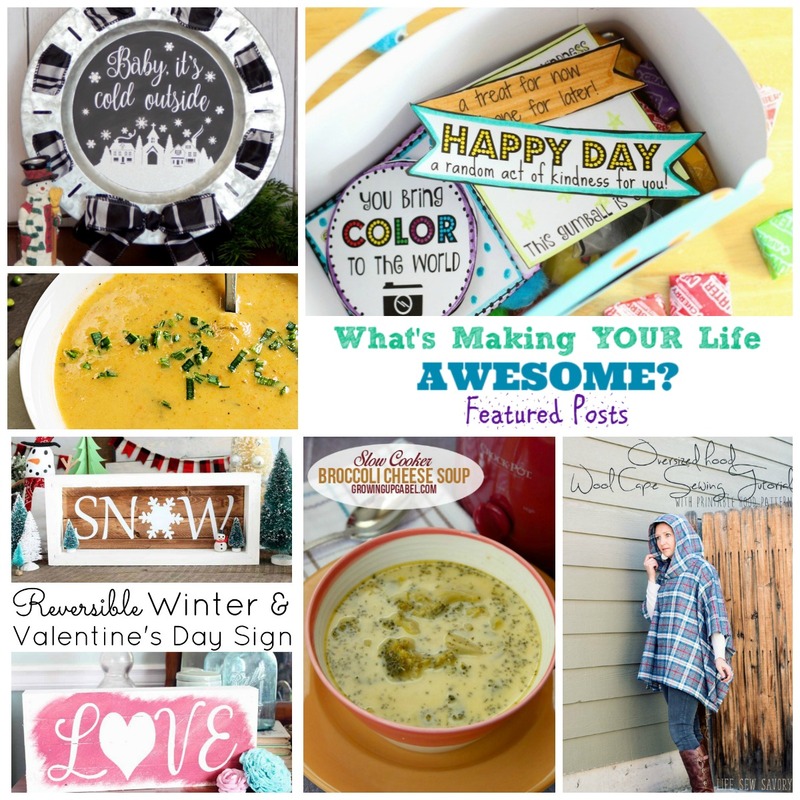 Each of these featured post give me that sense of cozy, inviting home spaces, just right for curling up on a cold winter's day. Jerky has always been one of my all-time favorite snacks. 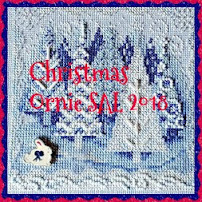 I spent a lot of time growing up as a kid in West Virginia camping in the woods with the Boy Scouts or hunting with my father, and have spent quite of bit of time in field conditions as a part of my current job. Jerky is the perfect food to take along. It's packed with flavor and protein, and has a long shelf life if kept properly. I've always liked the jerky I bought at the store, but felt that I could get more out of it. There were no "perfect" brands. Some had the wrong flavors but the right texture. Others a great flavor but the wrong texture. But the one time that the jerky was always perfect was when my dad would make it. He would often use venison instead of beef. In my current situation I don't have the ability to hunt, and find it very difficult to get venison otherwise. 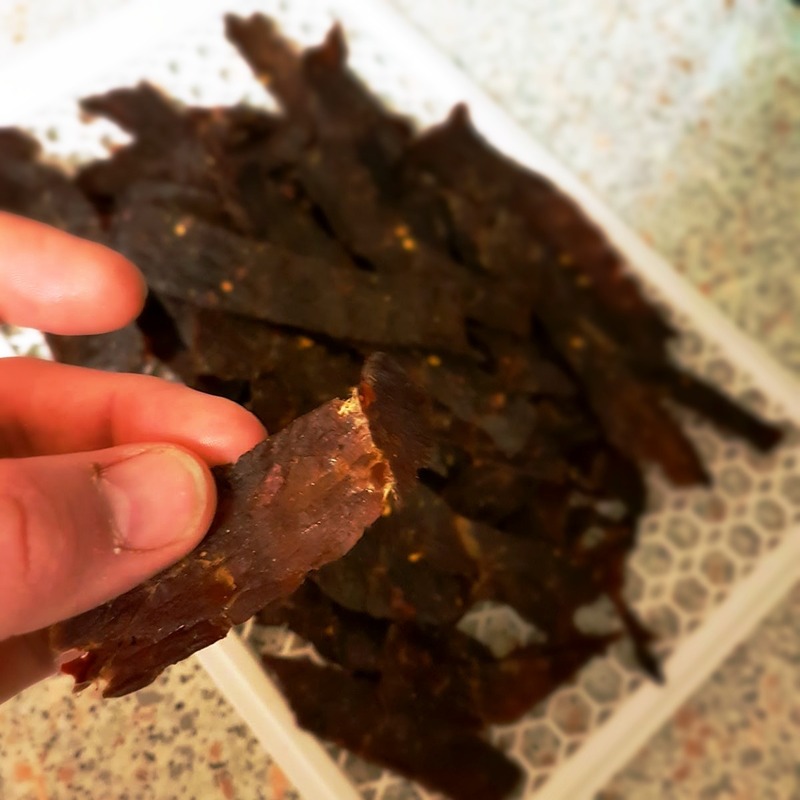 So I decided to buy a cheap dehydrator from Amazon and try my hand at homemade beef jerky. It took me a long time to get a flavor that I liked. But after experimentation, I now have my marinade locked in. There is still some occasional discrepancy with the texture, as I am still learning my machine and meat. 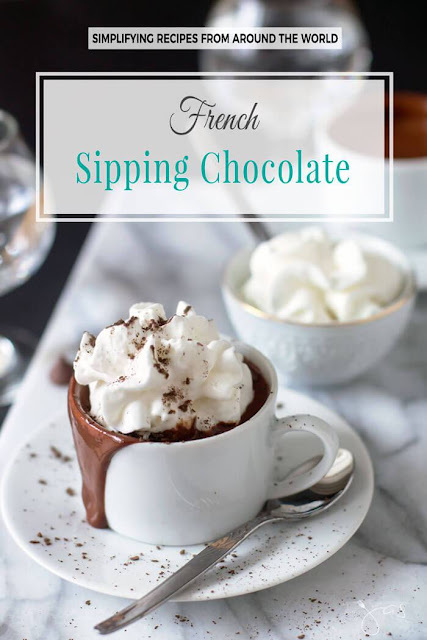 But so far, the following recipe is what I have found to be my favorite. You can adjust the marinade to your taste, but I strongly recommend you try it before doing so. I personally often add fresh hot peppers, such as my home-grown chocolate habaneros or even just a healthy dose of crushed red pepper flakes. The time each piece is in the dehydrator can vary, depending on the thickness of the cut as well as how much moisture is left in the meat after it has been patted dry. I will mention my personal techniques below in the recipe. 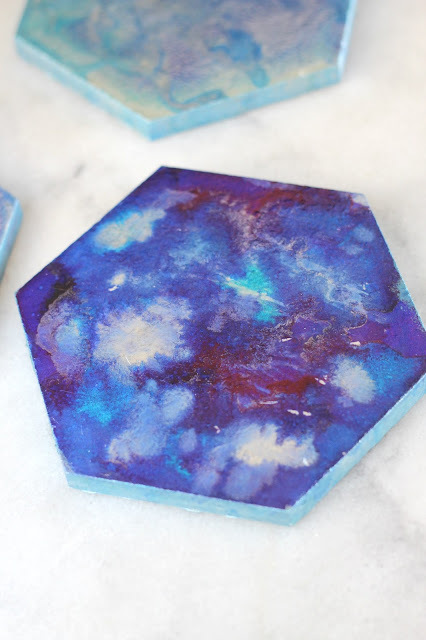 If you have a method that works better for you, please let me know in comments and I'll try them out! Jerky is one of those food items that will always be in my pantry at home and my backpack when out. If I find a better method or lock my times/temps and recipe in tighter, I will definitely update. The best cut that you can use for jerky is the leanest you can find. The less fat the better, as fat can still spoil even after being dried. Top Round or London Broil is the best cut that I have found. This will give you about 2.5 lb. of meat. The higher the quality of meat, the better your end product will be (organic, grassfed beef seems to be the best). 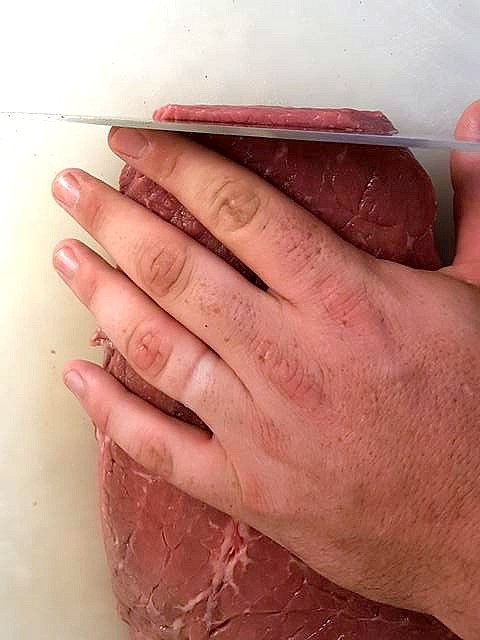 If you have a seriously sharp knife, you can cut the beef as is. Otherwise its best to put your beef into the freezer for about 2 hours to firm it up. This will ensure you get a nice consistent cut without the meat trying to roll or squish away from the knife as you apply pressure. Cut the meat into 1/8 inch thick slices either with the grain or against. How to decide? If you cut the meat with the grain you will get a chewier jerky. Cutting against the grain will result in pieces that break apart easily and are generally more tender. Once you have your meat cut into thin strips, move on to the marinade. Mix the marinade ingredients together in a bowl. Add the sliced meat, stir well to ensure that everything is coated, then cover and place in the fridge to marinate for at least 8 hours. I average between 8 and 16 hours but 24+ is best. Once you are ready to continue, pour the meat into a colander to drain. While the meat drains, mix together your dry spices and lay out some paper towels. I use a mix of smoked pink Himalayan salt, fresh ground black pepper, garlic powder, cayenne pepper, smoked paprika, and chipotle chile powder. Mix these together in a small bowl and set it off to the side. Lay out the slices of meat in the single layer on a paper towel and pat dry. The goal is to get as much of the moisture off the meat as possible. Once this is done, you can lay the slices out on your dehydrator racks and sprinkle lightly with the dry seasoning mix. 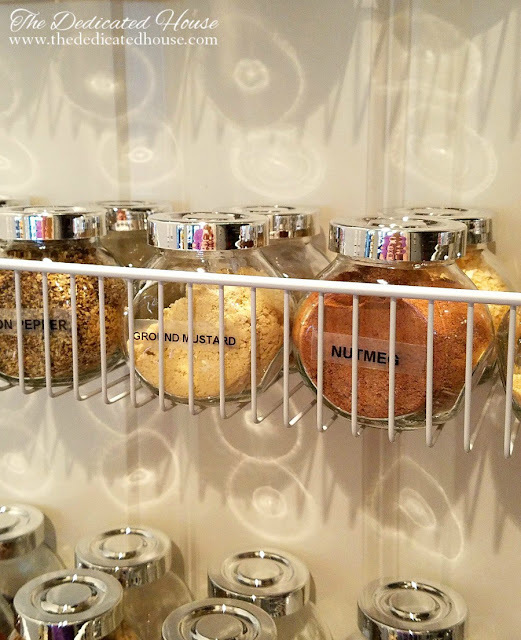 Fill all the trays that you can, and place them inside the dehydrator. Set the dehydrator for 158F for 4 hours. Now set a second timer for 4 hours. At the first 4 hours onward, you will be checking the dehydrator constantly until you get the right texture. You want your jerky slices to be dried, but not so dry that they crumble when you try to chew them. The best way to estimate the texture is the try to bend the slices. The jerky should crack but not break. If it just bends it's not done yet. If it breaks too easily when you bend it, it's overdone. I have found that the sweet spot is usually between 4 and 6 hours. It depends on the marinade you use, the fat content of your meat, and the thickness of your cuts, and even variables like the weather - so always check! 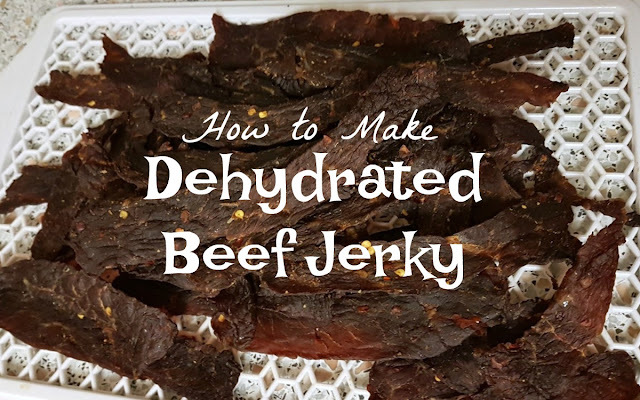 This can be difficult to get right, but once you do you will have some absolutely fantastic jerky to take with you wherever you go. It's best to store your finished jerky in an air-tight container with a desiccant packet. These are those silica gel packets often tucked into medications and the like - you can find them on Amazon. They help to keep moisture out of the container, which will keep your jerky palatable for longer. If you have any tips or suggestions on how you make jerky let me know! But most importantly... Have a snack! Wreck It Ralph is an amazing animated Disney movie that came out in 2012. With famous voices of John C. Reilly, Sarah Silverman, Jane Lynch and so many more, how can you not expect a fantastic movie? 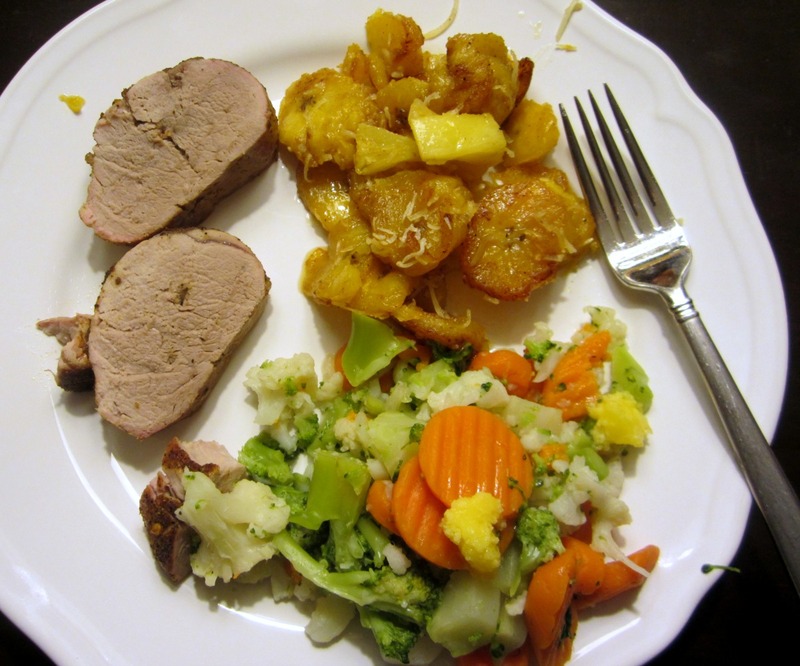 Amy of Amy's Cooking Adventures, made a great choice when she picked this for this month's Food n' Flix challenge! This story is about an '80s style arcade that, when closed, comes to life! The video game characters all take on their "normal" personas and interact with characters from other games. The main plot of the movie is when Ralph (a "Bad Guy") from Fix it Felix Jr. decides that he no longer wants to be the bad guy. He wants to earn respect and be treated just like the rest of his characters in his game. He then turns to another game to try and win a medal to prove he can be a good guy. He wins one, but his life is turned upside down and the medal is stolen. He is eventually cast into Sugar Rush, a car racing game where everything is made of candy. Here, he has to find a way to get his medal back from a sneaky little glitch who stole it so she could earn her place in the race roster. This movie is so creative and funny at the same time. There are so many adult puns throughout the movie that it is loved by kids and adults alike. I know that my whole family will sit down and watch the entire thing when it's on, even my husband! Food n' Flix gave us all a great excuse to watch it again. When I watched the movie looking for food references, there were so many things in it that remind came to mind! The characters make their way to "Tappers," which is a serving game where they serve Root Beer. Ralph walks around with a cherry that he got from PacMan. There's the pie that Felix wins every night and the characters all eat. There is also the entire land of Sugar Rush where everything is made of candy, cookies or treats, and I mean everything. The mountains, the trees, the lakes, buildings, etc. Everything is made of something edible. But the thing that really inspired me was when Ralph and Vanellope (the glitch from Sugar Rush) had to go into a bonus round of her game to Build a Race Car! They start out with a car mold and as they go through the levels, frosting and various candies drop all over the car to make a huge mess of a race car.... Vanellope absolutely loves it though! Its hers, she made it! I decided to go this direction with this movie. 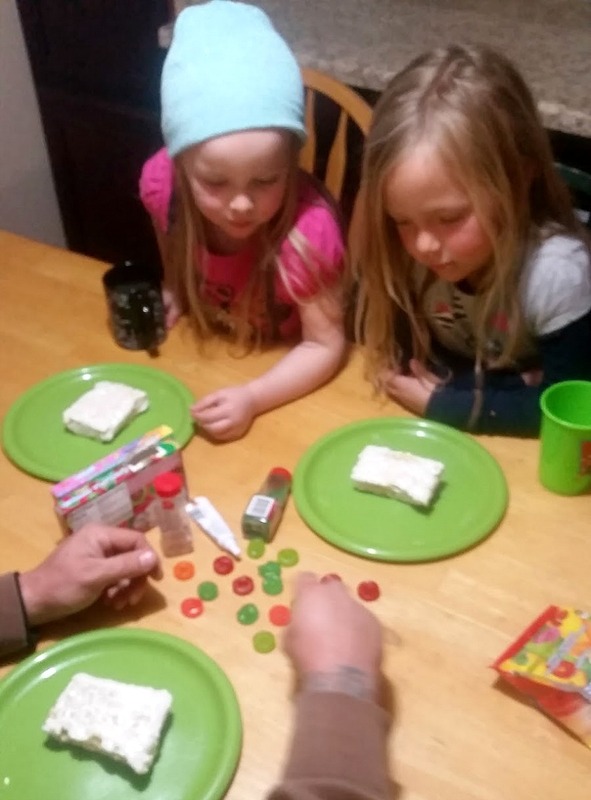 I got my kids at the table so we could make our very own Wreck It Ralph style Race Cars made from Homemade Rice Crispy Treats!!! Now let me just say before we even start, this is MESSY! I mean you're talking frosting, candy, sticky rice crispy treats, and kids. Have some wipes ready!! First you want to melt the butter and marshmallows together until they form a nice mixture of melted goodness. Once you have done this, remove from the heat and add in your cereal. Mix it in completely and spoon it out into a lightly greased 10x13 pan. A helpful hint to make sure it is all pressed into the pan is to take a sheet of Wax Paper and lay it over the top of the rice krispie mixture - now you can press it all flat and even and keep your hands free from marshmallow stickiness. Once I have it into the pan, I generally let it sit for about 2 hours to cool completely before cutting. Once you have let it cool down, you want to cut it into rectangles about 5" long x 3" (or really however long you want to make them as the base of your cars). At this size, I was able to get about 6 solid cars made with some extra chunks that ended up being used for car decoration. I started by melting some white chocolate and completely coating the outside of the treats with it. After I coated them, I handed them out on individual plates for my 2 daughters, husband and brother in law (and me, of course!). On our table we had Gobstoppers, Nerds, Sprinkles, Laffy Taffy (also big in this movie) and some extra frosting that I had in the fridge from my daughters birthday the previous week. I told the kids we were making Race Cars just like in Wreck it Ralph! 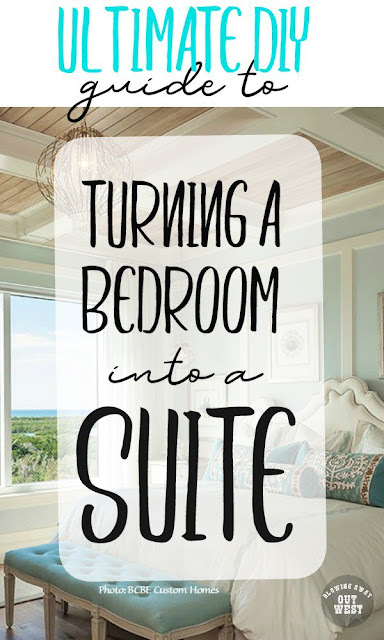 This was definitely a fun and interesting project to do. It is fun to see where your children's creativity goes when given a task like this. We had a ton of fun with it. My husband and my brother in law even got into it as you can see by the pictures of the "over achiever cars" ha ha! 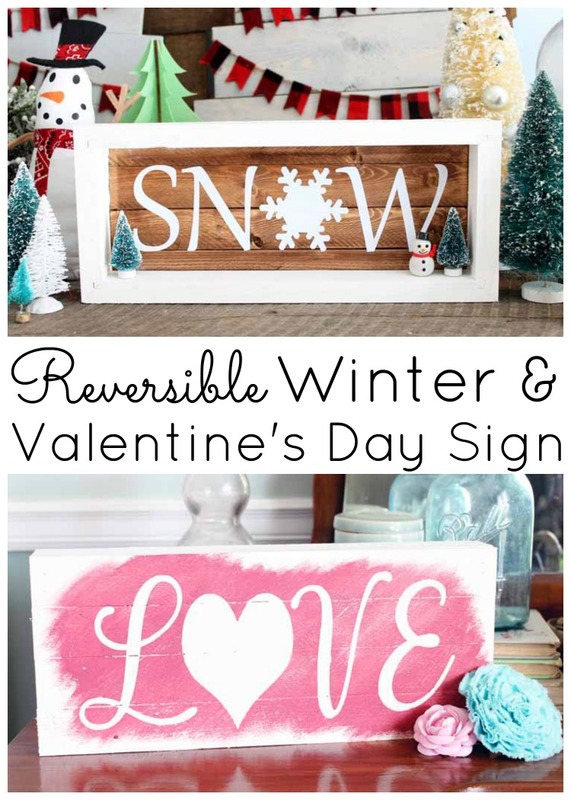 Give this little project a try with your family! 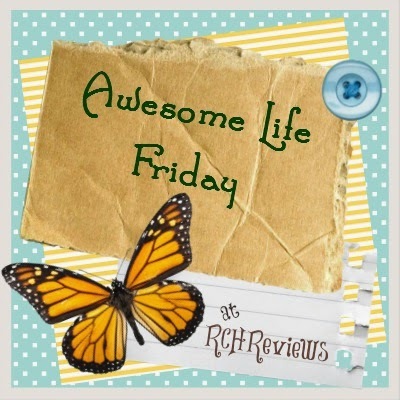 I would love to hear how it goes... but make sure you are watching Wreck it Ralph in the background... for inspiration of course! 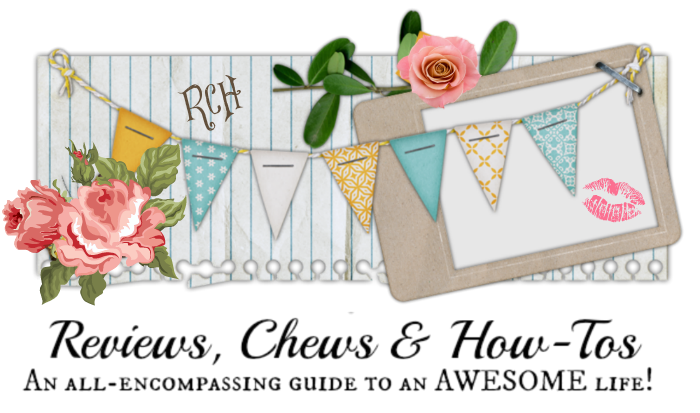 Be sure to check with Amy's Cooking Adventures to see what other Wreck It Ralph inspired fun other bloggers have put together! 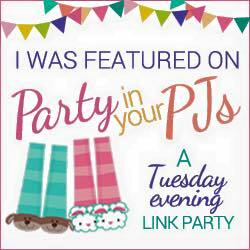 My favorite part of this link up party is the FEATURES! 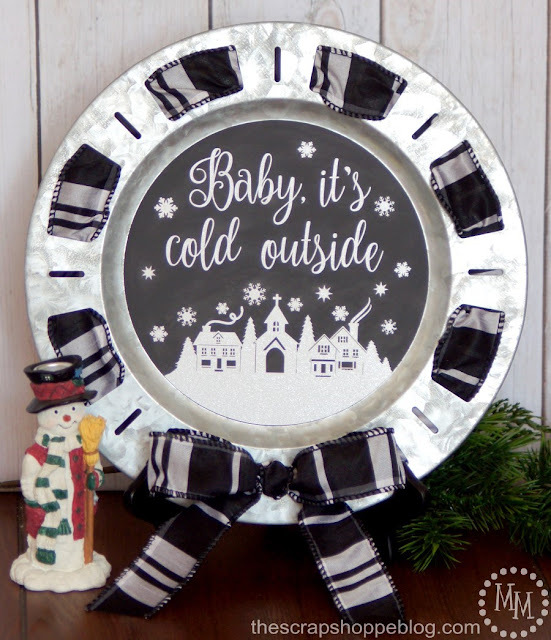 "Beat the post Christmas blues with some fun winter decor like this chalkboard winter scene made with adhesive vinyl!" 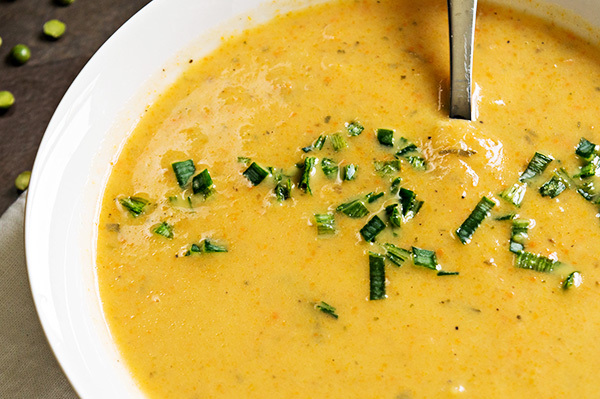 "This Creamy Leek and Potato Soup Recipe is easy to make and sure to warm you up during cold weather days." "Random Acts of Kindness Day is February 17th. 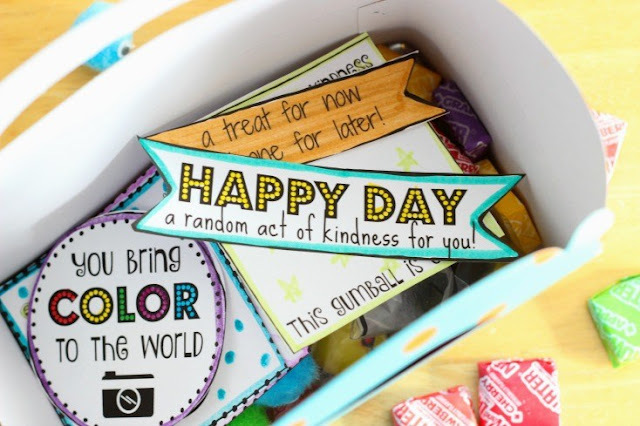 Print out a week of cute tags to color and hand out to brighten someone’s day!" 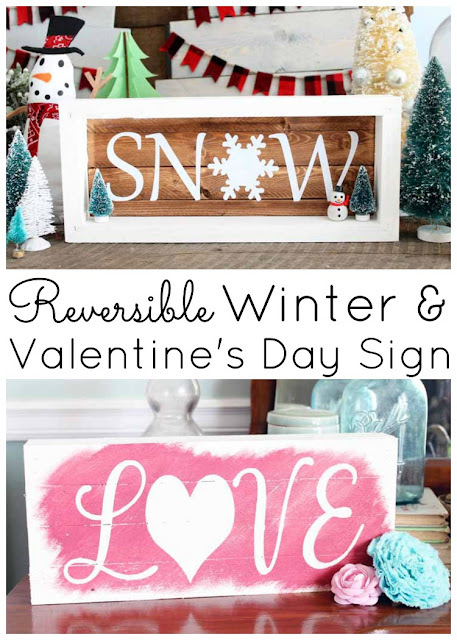 "Add a reversible winter and Valentine’s Day DIY sign to your decor and leave it out for months." 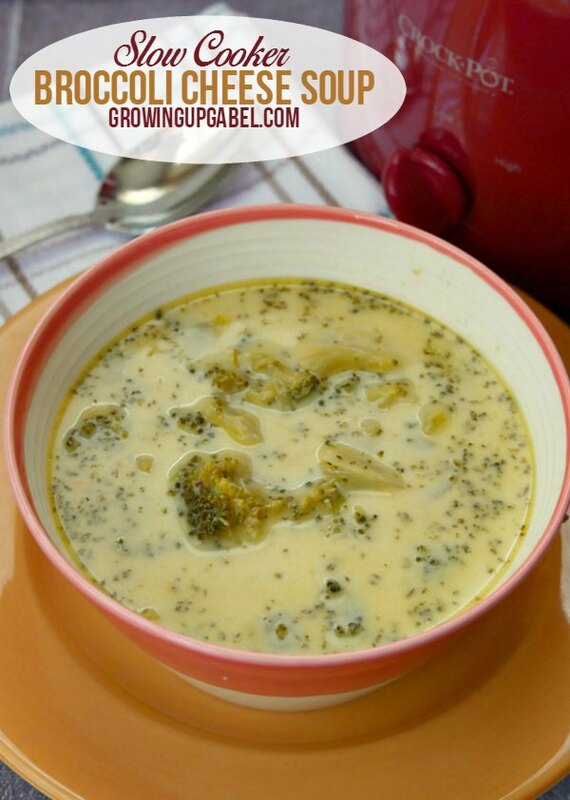 "Easy broccoli cheese soup made with fresh broccoli and no canned soup or processed cheese." 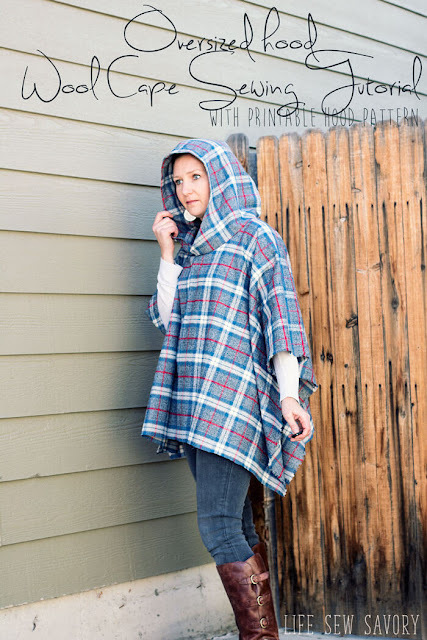 "I’m so excited to share this hooded wool cape sewing tutorial. 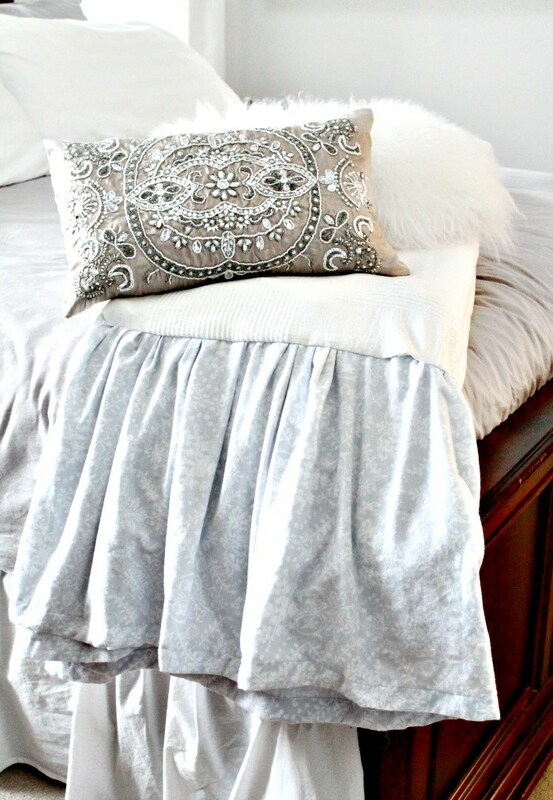 It’s such an easy project to sew AND looks fabulous." Ask somebody what time it is and you just might get the sarcastic reply of “time for you to get a watch”. While our phones will tell us what time it is in any part of the world, there is something classic and classy about having a good, old fashioned wristwatch. My signature watch for years now. I remember my first watch, which I got in early elementary school. My grandparents gave it to me for my birthday. 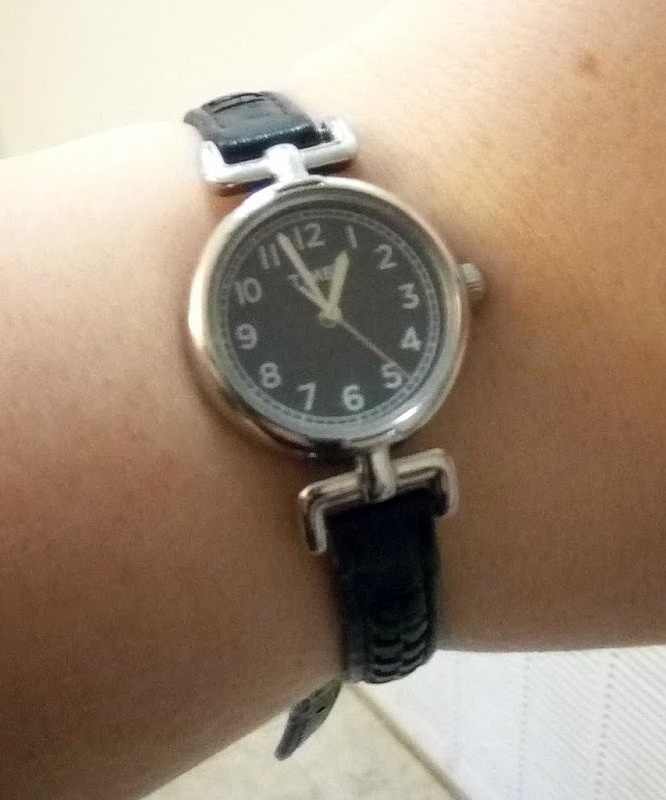 It was an analogue white watch face with a purple stretchy wristband that had embroidered flowers, and I wore it until it could no longer work and the flowers on the band were so frayed they became unrecognizable. After that watch, I found a new staple. My go to watch style for many many years has been simple: a silver analogue face with a thin black leather band. While this style is simple, I now find that as I have gotten older, I wish to expand on my watch designs. Unfortunately, when I go to a store or look online, I get a bit overwhelmed with options and don't even know where to begin. 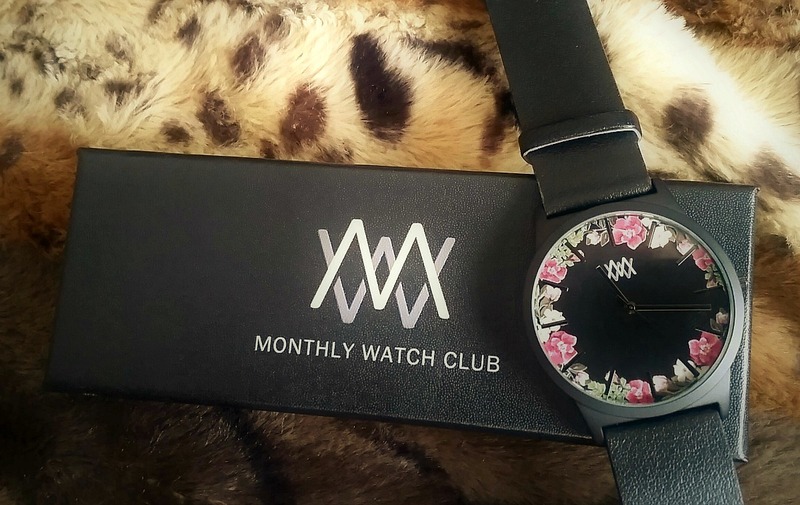 With Monthly Watch Club, subscribers can get a beautiful watch in the mail every month, saving the chore or shopping for a new look, and building a lovely wardrobe of accessory timepieces! 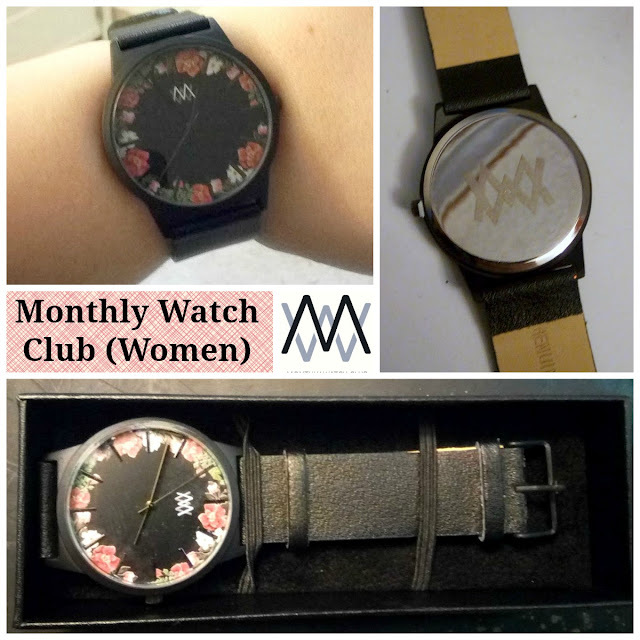 Monthly Watch Club is a monthly subscription service that sends out a wristwatch with plans starting at 39.99 CAD (approx $32 USD). Each month they will send you a new watch, and you will never receive the same watch twice. They offer services for both men and women. 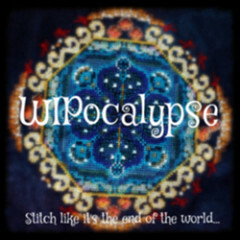 You can even purchase past watches on their website! I received the November Women's Watch, which is a beautiful work of art. The entire watch is a bit larger than my go-to style, but I really like it. It has a wide black leather band and a black face with a floral pattern around the edge. The hands and visible metallic pieces are all also black. There is also a small Monthly Watch Club logo on the face. This logo is also etched in the back of the watch. While the overall coloring may be a bit dark, the floral pattern adds a clear feminine touch to this watch. Some may find this particular watch a bit dark for their tastes, but I could not ask for a more perfect watch. I've honestly worn it everywhere and am happy to have it become a regular part of my wardrobe. I would highly recommend trying out Monthly Watch Club if you are a fan of quality watches. The value per month is unbeatable. The Monthly Watch Club would also make a wonderful gift for the watch lover in your life. 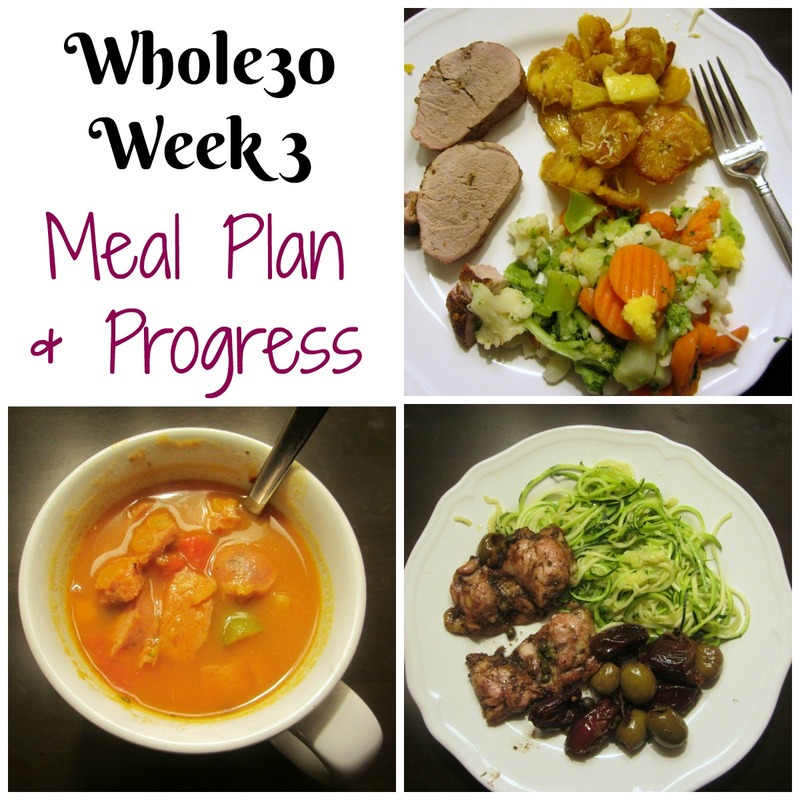 We've now finished our 3rd week of Whole30 - the shift to the Reintroduction Phase is in sight! My GERD and acid reflux has gone from struggling not to throw up after meals and frequently losing hours of sleep at night due to a drowning sensation while horizontal to DISAPPEARED. I've had two episodes of sour stomach, and no signs of reflux at all. I am amazed at how quickly this happened. 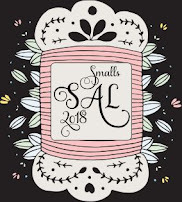 I had an appointment with my rheumatologist that went very well - a greenlight to lower my prednisone (I expect to be completely off in a few more weeks), my infusions happening a week farther apart and the required weigh in (the one time I had to deal with a scale) showing 15 pounds gone. Well then! My husband is wearing clothes he's not fit into for three years - and mine, which 'just fit' are feeling looser. Mood swings are a little less wildly swinging than they were the first two weeks, and I'm less tempted by passing thoughts about bread and cheese. We're starting to plan for the controlled reintroduction phase. I'm looking forward to getting to taste some of what we've avoided - but I am far more interested in discovering what's been causing my body so much mayhem over the last several years. Once we sort out our permanent 'no more of this' list, we plan to move into a regular Paleo type lifestyle, reserving off-script 'treats' that don't actively ruin our day for when we are socializing or eating out. Breakfasts and Lunches continued to be an assortment of grab and go items (hard cooked eggs, sausage patties or pre-cooked bacon, salad fixings, fruit, nuts, the occasional date or Larabar) or leftovers from dinner the night before. Cut the sausage into coins, then halve each coin. Saute sausage and mushrooms in stock pot until mushrooms are soft. Add remaining ingredients, and stir. Bring to a boil, then lower heat and let simmer at least until vegetables are soft although it's better if it can simmer at least an hour. 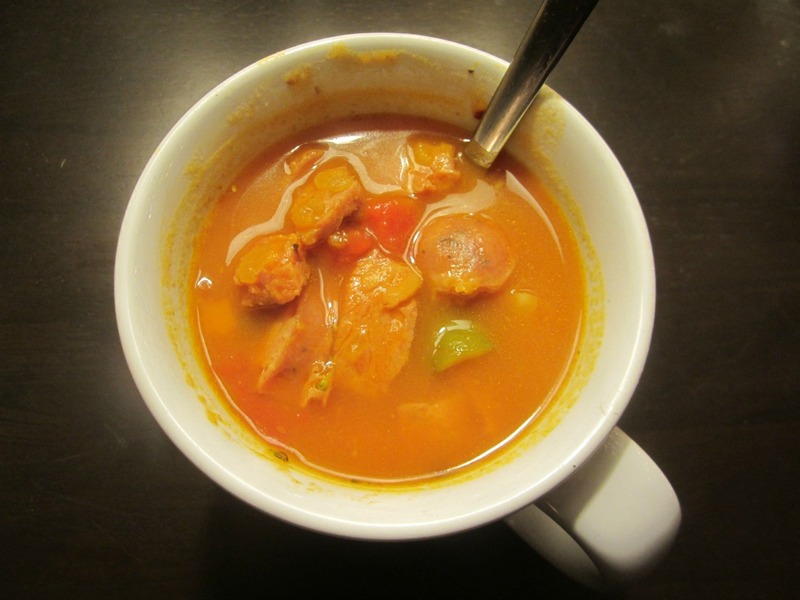 Serve in soup mugs or bowls, adding a splash of Cholula if desired. We had enough here for soup for dinner twice - a good thing because I was experience a little 'what?! I have to cook again?!' at this point. The pork for this was given a dry rub of Arizona Dreaming seasoning blend from Penzeys, seared in a pan and then put into a 425F oven to roast for about 25 minutes. The plantains (about half way between green and ripe) were sliced along with some fresh pineapple, and sauteed in a blend of ghee and coconut oil for 10 minutes or so, then sprinkled with unsweetened coconut flakes. These were DELICIOUS. The veggies are the other half of the bag we used for soup the day before. Every couple of months, a few bloggers get together for the Cook the Books Club to read a book, and make a dish inspired by it. The book for Dec-Jan. was Feast of Sorrow, by Crystal King. I'd never read this before, but I happily tucked a copy of it into my Kindle just before we took a two week vacation to Germany, and I found it very compelling. 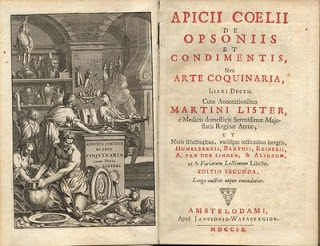 The book is a novel set across a span of years in the household of Apicius, a wealthy epicurean whose obsession is food prepared in the most interesting an exotic ways possible. The story centers on Thracius, a slave Apicius purchases because he has a reputation for being a highly skilled cook. Over time, the two work together to write a series of recipes - a cookbook - that would come to us today as one of the most comprehensive explanations of an ancient culture's foods we have available. Apicius is portrayed as temperamental and inconsistent, by turns punitive and friendly to his closest slaves, and Thracius is portrayed as the voice of reason and the skill and brains behind the lavish meals that are bringing Apicius renown while he tries to hold the household together in the midst of external and internal intrigue. Familial and political crises abound, and the result is a book that is both very compelling and highly disturbing, ending on a dark (but historically accurate) note. While it is fictionalized (there is no Thracius mentioned in the annals of history), there are a lot of details 'ripped from the headlines' of the Roman Empire. 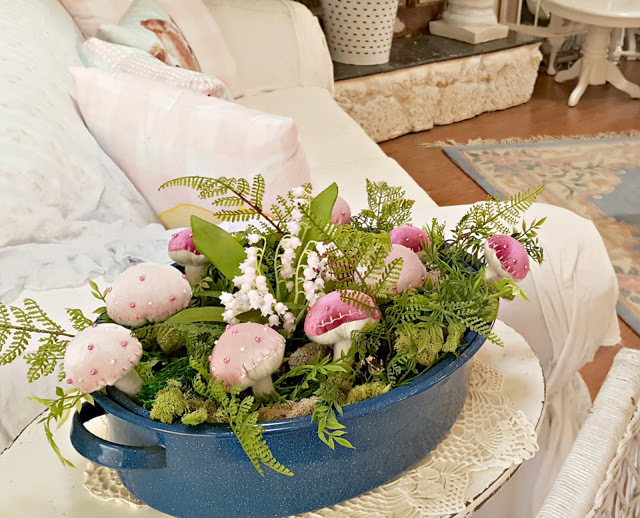 Apicius likely did exist, although it is also likely that over time his name was used by other epicureans to lend credence to their own recipes. The surrounding characters and many of the events are historical. Reading it while traveling through Germany, including to the Roman city of Trier (my friend and co-writer Lauren recently shared her own trip to Trier here) really helped me feel a sense of place about the story. The food inspiration runs all through the book - too much to keep up with, actually! Each chapter begins with one of Apicius' recipes. I tried to keep notes and found my Kindle copy was chock full of highlights and notes. When we returned home, I put together a few ideas, planning to create a Roman 'feast' for our New Year's Eve meal... and then we decided to go to Florida for a couple weeks for the holidays and there was simply no time to shop or plan for that feast, so I went back to the drawing board. I had a half thought out idea for some sort of cute 'dormice' thing made out of chocolate - but then we started a month of Whole30. WHAAAAT??? CAN YOU EVEN ROMAN ON THE WHOLE30????? The definitive answer is: Not happily! Apicius would have been shocked and appalled. The Stoics would have been horrified. 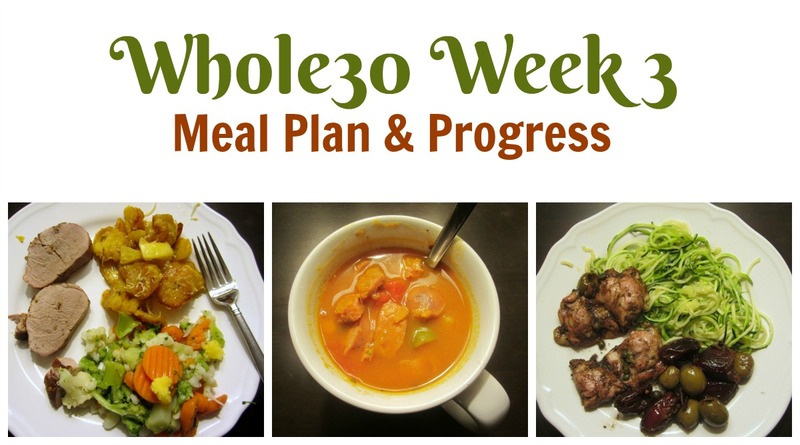 Roman cuisine relied heavily on grains, wine, dairy and honey - all disallowed on Whole30. Meat was a luxury food - so Apicius enjoyed it frequently, but for most Romans the only meat they had came from the shared meat made available at civil sacrifices. Vegetables were used as they could be had - but that meant only what was available locally and in season. So what to do? I grazed everything I could find about Apicius, his recipes, modern interpretations of his recipes and there was just very little to work with that felt inspirational. There were a few things I knew I could include - dates, figs, olives, olive oil, fish sauce. So - because I really needed to sort out my menu plan, I decided to lean hard on the 'inspired by' portion of this challenge, and started with Chicken Marbella, a Silver Palate faux-Spanish recipe born in the 1970s. First, I had to make it Whole30 compliant, and then I had to make it 'Roman'. 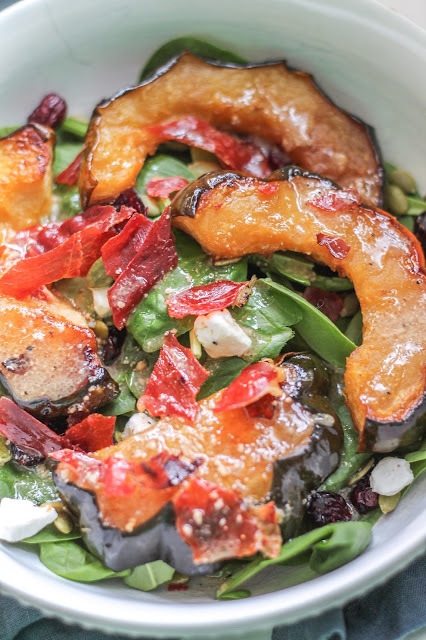 My modifications involved switching the wine for wine vinegar, getting rid of the brown sugar entirely, and switching out the prunes for dried dates (why? Because I have dates in the house, love them, and dates and figs feel more Roman to me). Finally, in an homage to the never-ending fish sauce, which seemed to go into everything, I added a bit of Red Boat fish sauce, too. The result was quick, easy and delicious! 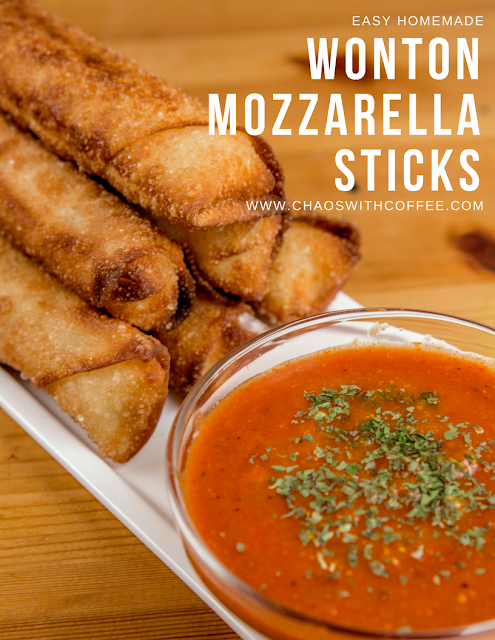 My husband and I agreed that this was going straight onto regular menu rotation (with wine and some honey once I can cook with those again). Even without the wine, the vinegars mellowed, and the flavor was really intriguing and delicious. Combine all but the chicken in a baking dish, mixing well to combine. Nestle the chicken into the pan, among the olives and prunes, flipping a couple times to coat with the sauce. At this point, if desired, cover and put the pan into the refrigerator to marinate for awhile. When ready to cook, preheat the over to 350F and bake for 25-30 minutes. While the chicken is cooking, spiralize one or two zucchinis (or use store-bought spiralized zucchini, which is a thing now! ), and saute for about 4-5 minutes in a pan along with a bit of olive oil or ghee and season to taste. When the chicken is done, remove the chicken, olives and dates from the pan and serve along with the zucchini noodles. This is where this really veers from the Silver Palate version - that recipe calls for wine and brown sugar to be added to the vinegar sauce in the pan and thickened into a sauce to be poured over the chicken. Which sounds awesome, but also impossible to modify for Whole30 and honestly, the chicken did not notice the lack at all. Either way, this meal was a winner! At the end of the month, the full round up of #cookthebooks Feast of Sorrow posts will be compiled by Debra of Eliot's Eats. 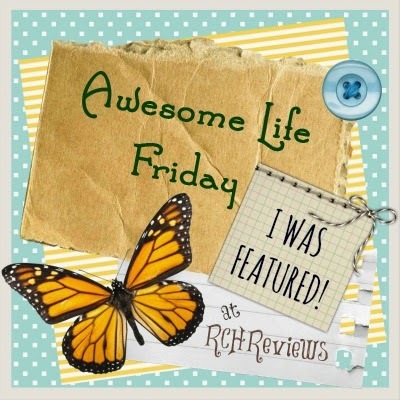 I can't wait to see what others have done! Party in Your PJs #189 Happy 2018!